Baby projects are in full swing. I have the itch to just be cozied in on a crisp fall day and do some craftin’. 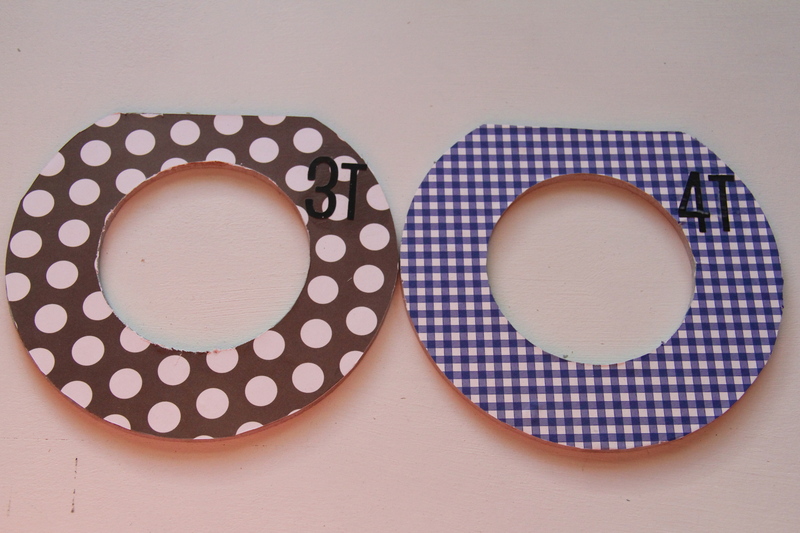 My friend Christina and I wanted a fun, easy project to do together so I browsed my pinterest boards for something to do. She has 2 little ones and since I’m expecting my first I thought we’d do something for our kiddos. 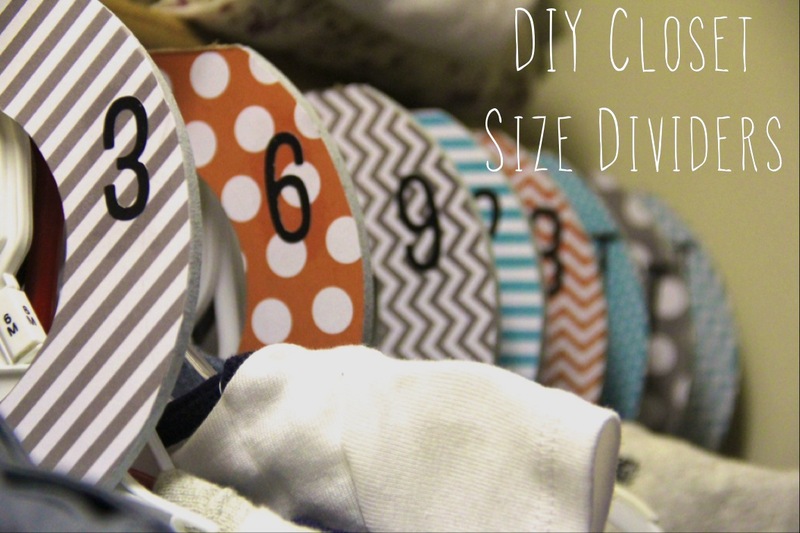 I love the idea of having a super organized closet and so I’m going to try this as a way to keep the different sizes nice and cleanly organized. They do sell these size dividers in the store, but who wants to pay outrageous prices for boring plastic dividers when you can make your own. It doesn’t take that much for supplies and you can customize them to your hearts content. 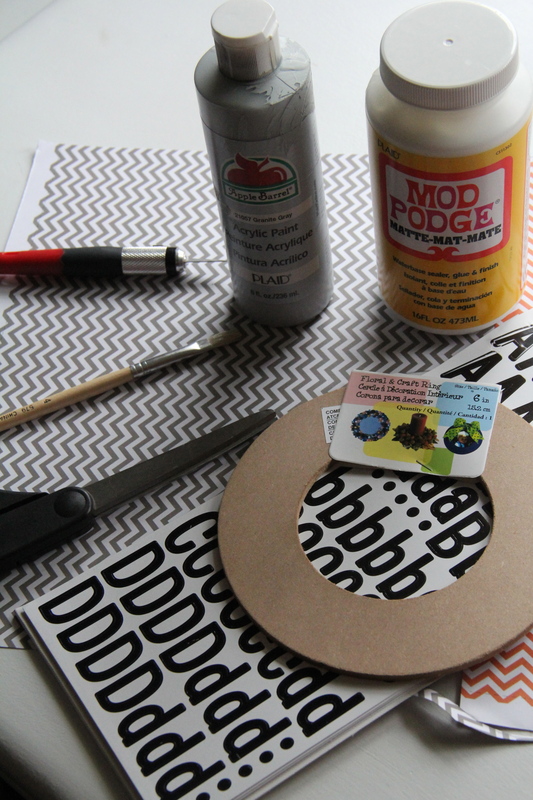 Take the stickers and labels off your craft ring. 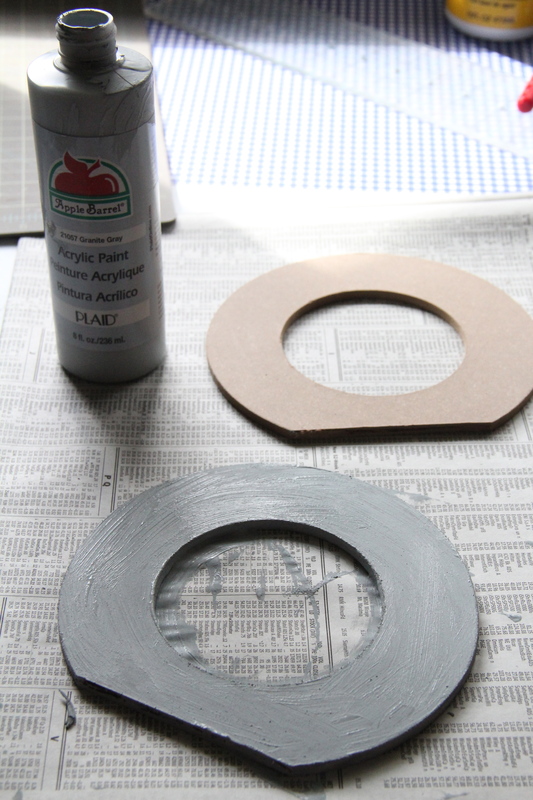 Next take and paint one side, the outer and the inner edge with your paint color of choice. 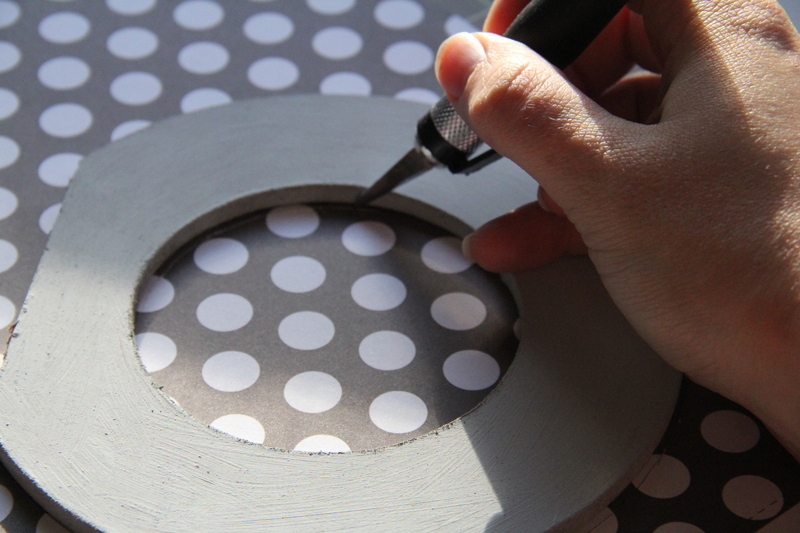 You only need to paint one side because the other will be covered with paper. 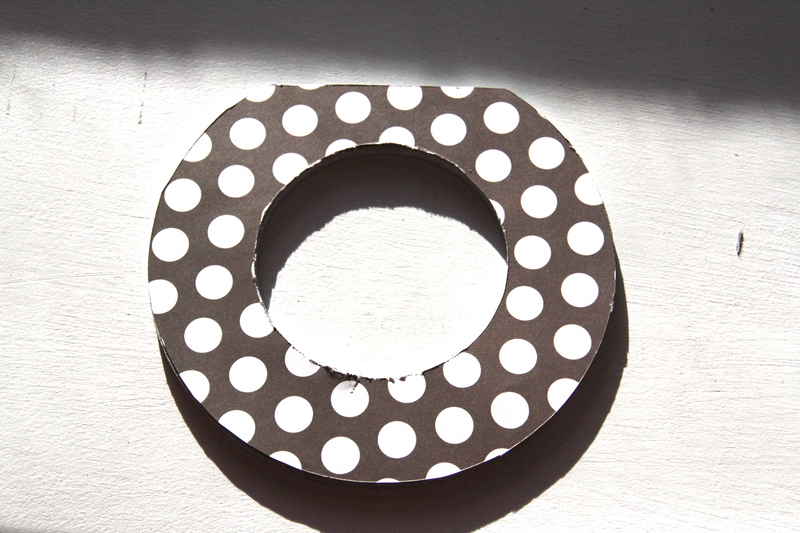 If using an Exact-o knife, take the scrapbook paper you are using and cut the paper first around the outer edge and then again along the inner edge of your ring. 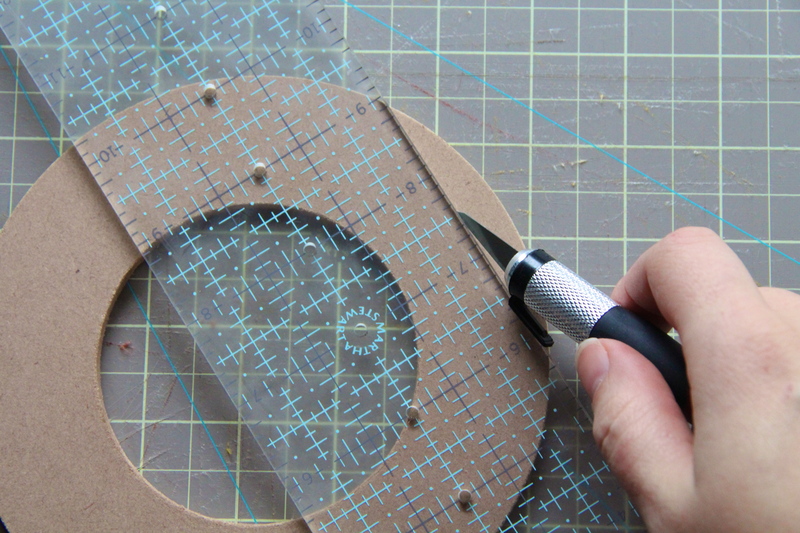 If you are using scissors, simply trace the ring with a pencil and then cut the paper out with the scissors. So this is what the one side should look like after you cut the paper. Next, place the size stickers on the top side of the ring. 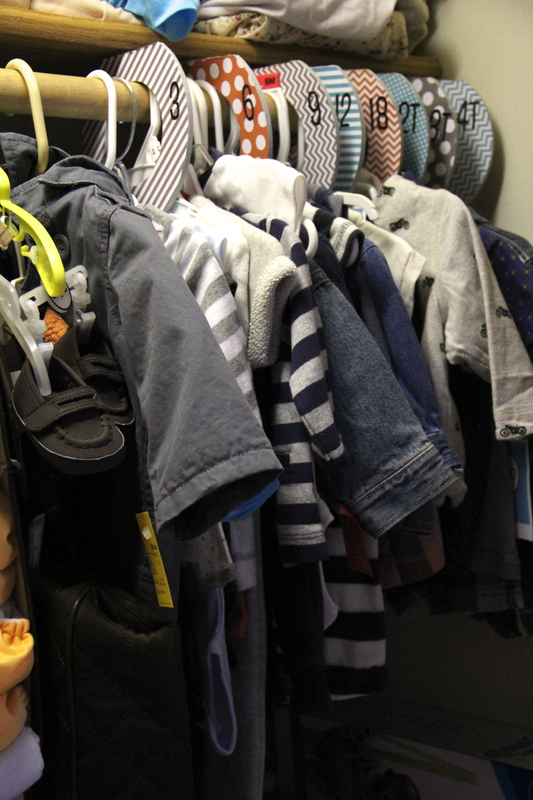 Left or right will depend on how you wish to display them in your closet. I chose to put mine on the right side. 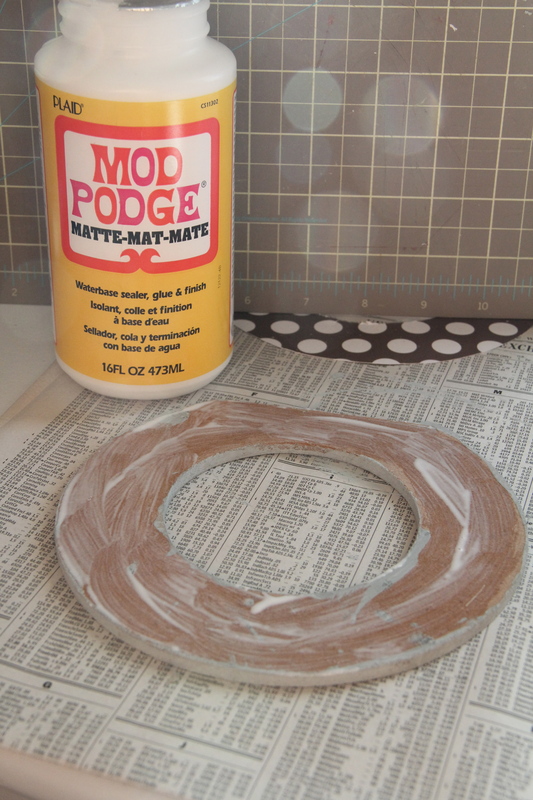 Take a paintbrush and apply a thin layer of modge podge to the unpainted side of your ring. 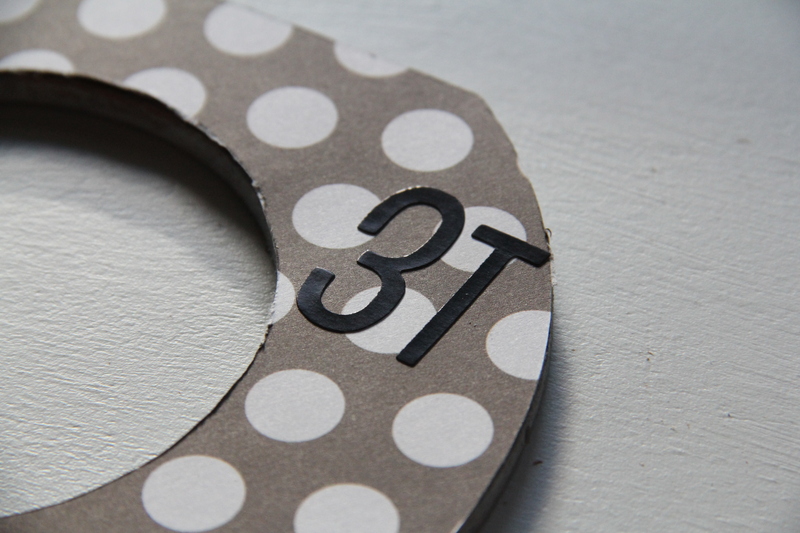 A little goes a long way so don’t go overboard or the scrapbook paper will bubble as it dries. 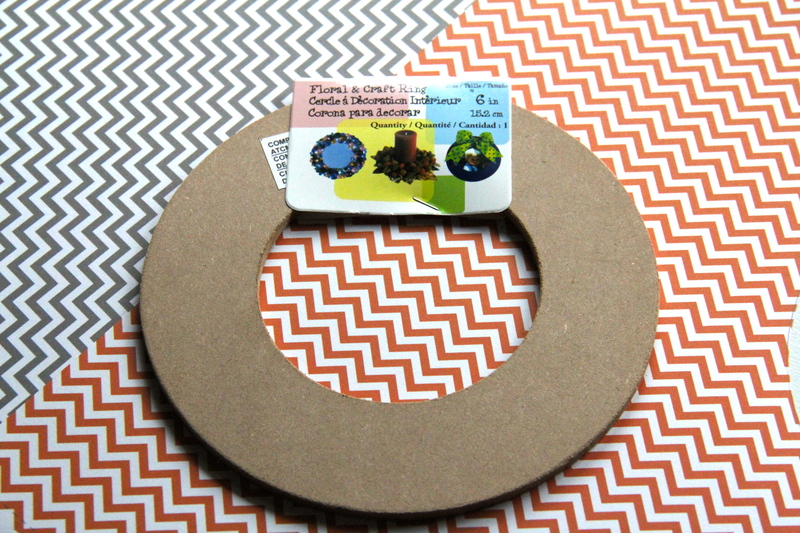 Place the paper over the modge podge and then wait for it to dry. 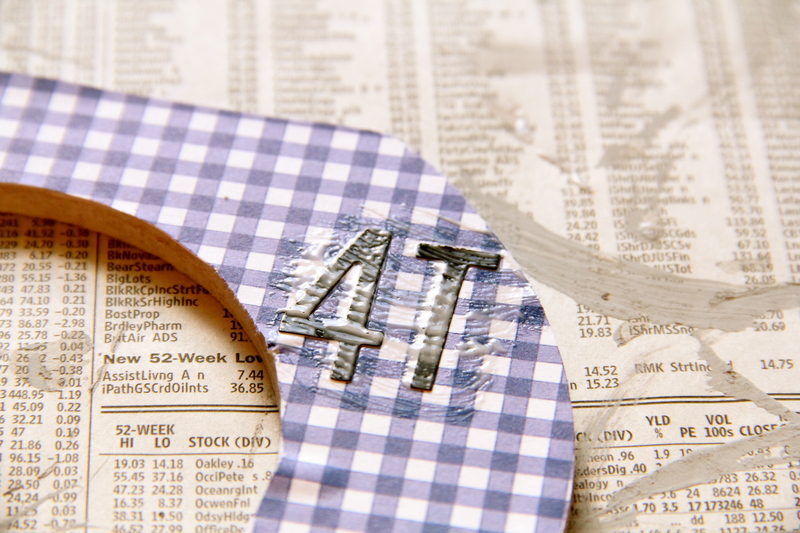 You have the option of putting an additional layer over the front of the paper as well to really seal the paper on well, but if you’re going to do that make sure the other layer is completely dry or you will again get bubbling. You can also just modge podge the numbers and letters on which is what I chose to do. The finished product! These two were for Christina’s oldest son who has grown out of the other sizes already. Here are mine in action! I think it’s a totally fun way to add your own personality to the closet without breaking the bank. I smile every time I see them knowing that I made them which is also very self-gratifying. So that’s the crafties I’ve been making. What are some of your fall projects you have going on? Is it too early to say that I’m nesting?